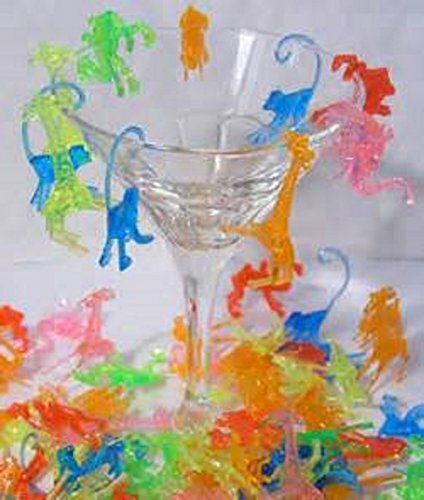 Great selection of animals will turn any ordinary cocktail into a swinging party drink. Hang them from the rims of glasses or let them float in your punch. Great accent for all types of tropical cocktail recipes! They make a great conversation starter at your next party! Made of plastic in four assorted colors. Pack of 72 or case of 1000 pieces. Bulk Packaging! Not for Children, Small Parts! If you have any questions about this product by Tikizone, contact us by completing and submitting the form below. If you are looking for a specif part number, please include it with your message.